Get full control of your dedicated server in your own hands. Experience high quality, reliable, high-performance, easily customizable, Best Dedicated Server provided by one of the No. 1 Hosting Provider in India. 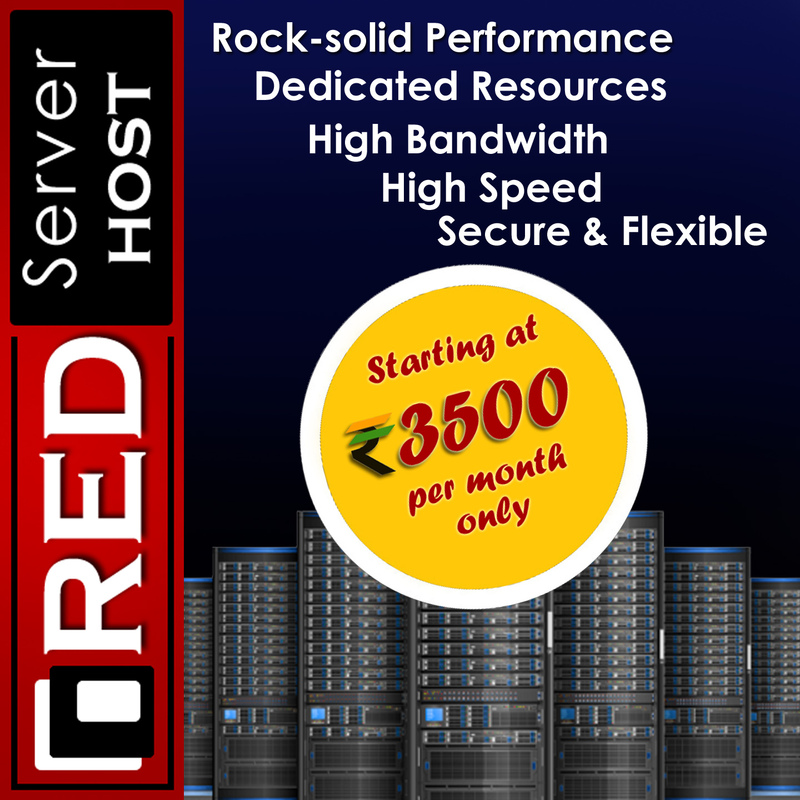 Red Server Host is India's one of the best and fastest dedicated server seller in India. You get dedicated hardware and rock-solid performance; perfect for large websites and apps. No one else controls your site anymore! You get ultimate power of full root access, easily manageable dedicated servers. Dedicated servers allow for maximum customization, configuration, installation, and overall flexibility, dedicate resources, high speed, high bandwidth and much more. After connecting with our fastest dedicated server, high traffic and a lot of process execution is no more an issue. With our high-speed dedicated servers you can easily sit back and rely for the bulk traffic and a lot of process execution. With our fast and reliable dedicated server we provide your sites a higher level of security, speed, and uptime. You will have the capability to go far beyond the resource limitations found in a shared hosting environment. And as your business grows you can simply upgrade anytime! You also get a choice of Linux Operating System like CentOs, Ubuntu, Windows etc. Our speedy dedicated servers are incomparable with other vendors. And the best news is, unlike many providers out there, we don’t charge any setup fee for your dedicated server.